Shimla sits majestically on the lap between seven hills. It has had the honor of being the summer capital of the erstwhile British Raj since 1864 till 1947 when India got its independence. The official residence of the Viceroy shifted from the winter capital which was Calcutta till 1911 and subsequently New Delhi up till independence to escape the burning heat of the plains typical of the Indian summers. Shimla was discovered in 1819 following Gurkha War and caught the attention of Lord Benedict the governor-general of India from 1828-1835. The British referred this hill station as ‘the Queen of the Hills’ after its enchanting beauty amidst the lofty north-western Himalayas wrapped in the captivating forests of the deodars, pine, rhododendron, silver oak and the cedars. Shimla is beautifully perched at the elevation of 2,130 which is approximately 6,988 ft above the sea level. The city takes its name from the local deity Shyamala Devi believed to be the incarnation of Devi Kali by the locals. Currently Shimla is the capital city of the state of Himachal Pradesh and a much visited and safest hill tourist destination in India. Shimla show a distinctive grandeur in it’s the colonial style government buildings, library, railway station, and shops in the mall all reminiscence of the erstwhile governance. These buildings find their basis on the neo-gothic and tudorbethan style architecture. The narrow gauge railway rail which also happens to be the longest in India connects Kalka with Shimla was in 1906. The mesmerizing landscape enroute Shimla can be best relished by undertaking the train journey from Kalka. The train passes through a large number of tunnels and deep gorges while on its serpentine passageways round and round the hills. Shimla has pleasant and cool summers and attracts much tourism with people from plains flocking the hills to find respite from the scorching heat of the summers. Shimla is equally popular amongst tourists in winters. The panorama of the white snow every where, atop the slopes of the homes, hanging from the coniferous trees, spread on the streets are all soothe to the tired eyes. Local hangouts in the heart of the city are primarily the ridge and the mall road. Shimla is a home to many heritage buildings that are much preserved for its unique tudorbethan and neo-gothic architecture. The Wildflower hall currently the luxury hotel of the Oberai’ Group, the Viceroy’s Lodge currently serving as Indian Institute of Advanced Studies, which is the premier centre for research in humanities, the Auckland House, Gaiety Theatre, Gorton Castle, Barnes Court now operating as the Raj Bhawan, Ellerslie building now the Himachal Pradesh Secretariat, The Bishop Cotton’s School and the Peter Hoff house all speak of the pre-independence reminders. The serene lap of the Summer Hill offers walks under the shades of the deodars and the pines. It also happens to be the perfect location for seating the University campus of Himachal Pradesh. Tourists love to spend time in the natural ice-skating ring in Shimla, which incidentally happens to be the only one in Asia. Another place of sacred importance is the Jakhoo temple dedicated to Lord Hanuman perched on the highest point in Shimla. Shimla is home to many monasteries and other places of religious importance as the Christ Church in the mall, and several others spread across the entire terrain. 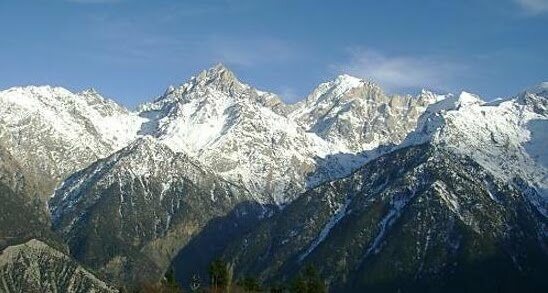 Shimla is famous for its beauties. Prunes, apples, apricots and kiwis besides wooden items, woolens, Himachali caps, jackets and other handicrafts made by the local population are much desired and brought by the tourists.